SNI management procedures trimmed. Yet, No additional sanctions in terms of supervision. 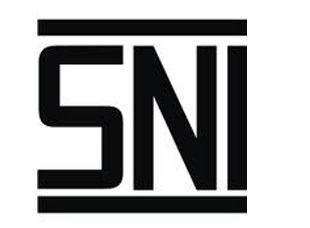 SNI rule Newest: Loosely procedure, Strict sanctions SNI management procedures trimmed. Yet, No additional sanctions in terms of supervision. The Government expressed its commitment to improve the competitiveness of national industry. Associated with it, Trade Minister also revoke permissions on pre-market scrutiny on imported goods that have enacted national standards of Indonesia (SNI). Deregulation was contained in the Minister of Trade (Permendag) Standardization latest on Trade and Services Division SNI Compulsory Supervision Against Traded Goods and Services. Regulation 72 / M-DAG / PER / 9/2015 The above as well as a third amendment to the Regulation No. 14 / M-DAG / PER / 3/2007 previously also been changed in the past year. Exist 14 provisions contained in the latest Permendag. Such provisions include removing some of the rules in the Regulation first. For example, provisions concerning the Registration Document Goods (SPB). Permendag 2015 declare, pre-market surveillance of imported goods is only done through the Registration Number Goods (NPB). Publishing NPB are now using a computerized system. So that, businesses simply access Indonesia National Single Window (INSW) in online. Marking (SPPT) SNI and can not be extended. It is just, NPB is already tebit before the Permendag 2015, shall remain valid. Elimination SPB also changed the procedure of re-export. Previous, SPB application is rejected or if there are mismatches goods with SNI, then the employer must re-export. Now, if proven goods sold is not in accordance with the SNI, the NPB will be frozen until the businessmen present the results of the repairs to the government. Meanwhile, re-exports carried out if the employer found to have no NPB. As to the cost of implementation remains to be borne by the company. Regarding the procedure for registration of goods became more simple. In Permendag 2015 only required the submission of acquisition of NPB to attach a photocopy of the identification numbers importers (API), a photocopy of the certificate of conformity SPPT or other, photo registered goods, and for the registration of certain items include letters of registration / permit type. Meanwhile, when compared with the previously applicable rules, namely Permendag year 2014, employers are also required to attach a statement of willingness to put SNI mark and NPB on goods or packaging products. Not again, there must be a photocopypacking list, invoice, and Bill of Landing (B/L), Airway Bill non-Negotiable, or Inland Bill. Importers named in the B / L should also be mentioned in a statement from foreign manufacturers that the products it exports are in compliance with ISO. Although the registration is no longer needed NPB's willingness to include a statement of SNI mark and NPB in goods or product packaging, however Permendag 2015 it still requires the inclusion of NPB. Article 19 Regulation has been amended so that its provisions stipulates that each item or package to be traded shall mention NPB. Even, now sanctions for negligence does not include NPB becomes more severe. Previous, if there is no NPB in the product or packaging, entrepreneurs only received a written warning. Now, sanctions imposed directly in the form of a ban on selling such products. If sanctions in one month does not provide a deterrent effect, NPB directly businessman frozen. In terms of supervision SNI, Permendag 2015 add a new article. Article 6A requires that businesses that trade in goods shall know the identity of the supplier of goods merchantability. Mentioned, there are at least two things that the minimal identity of suppliers of goods. It is a good full name and address for each producer, importer, distributor, subdistributor, as well as other suppliers. The provisions of the origin of goods is not just an obligation for employers. Reason, there awaits sanctions for employers who do not abide. In Permendag 2015 mentioned, penalties are given administrative sanctions, could be a warning, ban trade in such products, or even revocation of business license. Supervision is also tightened by the addition of pick-test mechanism. Latest Regulation states that at any time the Ministry of Commerce officials can take samples of the goods that have been received SNI to be tested. The goods must be taken directly from the warehouse company. It is none other in order to improve consumer protection. Therefore, Regulation mandates the establishment of the Director General of governing the particulars of this case, if deemed necessary.